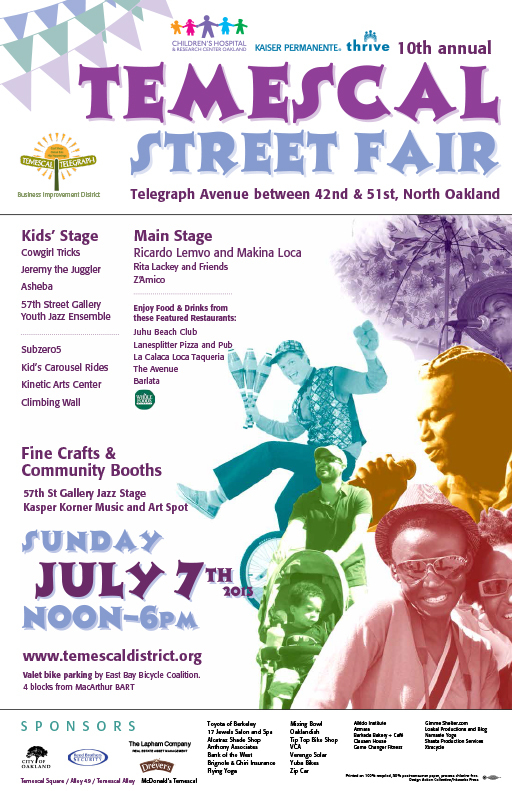 I’ve been sweating away (quite literally since it’s been warm, warm, warm and I’m lacking in AC) getting things ready for the 10th annual Temescal Street Fair taking place Sunday, July 7th from 12-6 in Oakland. Weather should be lovely, with good food, music and more. Hope you can stop by! See the event page for more details. Hope to see you there!